An arts and calligraphy enthusiast, Cédric Malo has been working as a graphic designer since 1996. 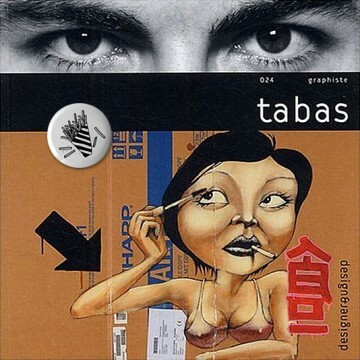 After starting out alongside the members of the Tous des K collective, in 2000 he set up his studio Tabas in Marseille, and has since carried out commissions for music labels (Sony Music, Wagram, etc.) and public institutions (the City of Marseille, the regional tourist board, etc.). His personal work – paintings on cardboard (the Smoking Série), photography, rag dolls – flows from a plastic, craft-like approach. His highly colourful, playful and relevant designs are, by virtue of their simplicity, accessible to the largest possible number of people.